Most likely you have seen the flurry of headlines (and controversy) surrounding the 1972 Munich Olympics Massacre where 11 members of the Israeli delegation were killed by Arab terrorists. The families of the fallen athletes have been trying in vain for forty years to have the IOC honor the victims. Only in 1996, the Olympic committee agreed to hold a brief remembrance at the Atlanta Olympics in Georgia who themselves were target to a bombing. However, this year’s Olympics in London mark the 40th anniversary of the terrible terrorist attack in Europe and the IOC refused to mark the occasion despite pressure from US dignitaries including Hillary Clinton. As usual at the Lighthouse, we are concerned more with substance than symbolism or euphemisms and niceties. More importantly, more concerned with what Israel as a nation (as well as her allies) does herself as opposed to her complaining about what less than friendly (or enemy) countries do instead. When that angle is explored, just as in many other issues facing Israel and the Western world, the truth is no less than shocking. Since very young, and long before Spielberg’s apparently skewed theatrical account of the events (which I have not seen but only heard/read of), the Munich massacre is one of the facts most vividly engraved in my mind. Israel’s then most talented Olympic delegation, youth who despite being from a small, fledgling and emerging state plagued by overwhelming number of hostile neighbors, 3 years of mandatory military service (a killer for athletics) and economic hardship were able to rise above it all and turn their energies into athletic ability on a world class scale. The Olympics, who from their inception in ancient Greece were a time for a cessation of war and hostilities, a time to come together in the spirit of constructive, honorable and fair competition, a time for triumph of the human spirit, of deathless glory and achievement (as opposed to war) were instead turned into a stage for terror, horror and cowardly murder. savage crime against civilization… perpetrated by sick minds. Surely, his position was strengthened by the fact he had been embroiled in a bloody struggle for power with the PLO and Yasser Arafat culminating in the “Black September” where the loyal royal Bedouin tribal armies of Jordan crushed the PLO and their Syrian allies (casting them out to Lebanon). Though he himself had tasted the cruelty of “palestinian” cruelty and terror, Arab words in any way sympathetic to Israel were unheard of at the time (and plenty rare even today) and the King obviously possessed a courage not shared by IOC president Jacques Rogge. 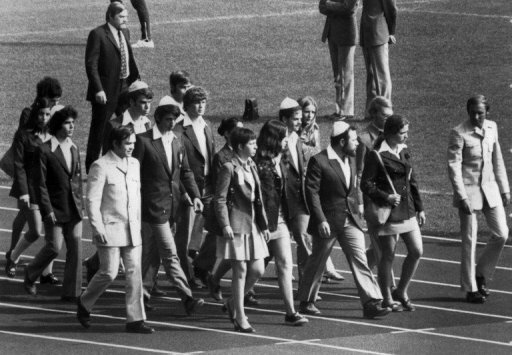 So of course, it would have been nice and perhaps appropriate if the International Olympic Committee could have shown some ethical valor and marked the 40th anniversary of the loss of 11 innocent Olympians at the hands of terrorists. This however would have required the international acceptance that terrorism is wrong, specifically Arab terrorism against Jewish targets, and that it is not political to oppose it, but rather a simple human value that the entire International Community can stand behind. This is far from the case, and the majority of the earth’s nations are sympathetic to, if not actively supportive of, Arab terror against Israel as a means to its destruction or as they would claim, “to end the occupation”. Though it would be an important and nice gesture, Israel can remember her own fallen athletes as Israelis and Jews do every Olympics if not every year at the various memorial services. It was nice to see various organizations and lawmakers in the US holding a memorial, applying pressure on the IOC and today 500 people attended a memorial in London’s Trafalgar Square. That is all well and good, and we appreciate our friends’ goodwill, but issue must be taken with Israel’s own way of “honoring” the victims. Golda Meir was Prime Minister during the attacks, and she vowed that Israel would hunt those responsible to the ends of the earth. They would be given no quarter, nor would Israel succumb to their demands. She was correct in her initial reaction. A heavy price was paid for this strength. Those 11 victims paid with their lives. There was plenty of heroism among them. A Hero of Munich, Moshe Weinberg twice attacked his eight armed terrorist kidnappers allowing members of the Israeli delegation to escape. He fought until his last breadth. His killers sit unharmed in luxury in Ramallah to this day. There was the large wrestling referee Yossef Gutfreund who attempted to bar the terrorists from entering the apartment with his own body and thus allowing time for a few of his colleagues to escape. 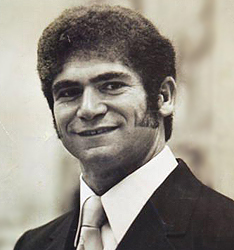 Impossible to forget the lion who was Moshe Weinberg, a wrestling coach who followed Gutfreund and fought the armed intruders until being shot in the face and subdued. Mustering a valor and a presence of mind which is hard to imagine, he fooled the Arab terrorists into avoiding the next apartment of athletes (and thus saving their lives) and led them to a third apartment that housed the wrestlers and bodybuilders. Undoubtedly, Weinberg hoped that these stronger men would have a better chance at defeating the intruders. They were unfortunately completely surprised in their sleep and taken prisoners. Coach Weinberg, though critically wounded at this point launched another attack on the armed terrorists and managed to knock one unconscious and injure a second before being gunned down. In the ensuing chaos, another athlete was able to escape by “zig-zagging” (as he described in an old interview from the 80’s) along the underground parking lot to avoid the gunfire. A bit later, weightlifter and Six Day War veteran Yossef Romano, an immigrant from Benghazi and father of three, attacked the terrorists yet again, managing to secure a Kalashnikov only instants too late as he too was gunned down in a hail of AK-47 (AKM) fire. They paid with their lives because Israel at the time lived by the code to never negotiate with terror. Decades before the pitiful and famous picture of Rabin and Arafat shaking hands, Israel would not even speak with the PLO let alone negotiate with them or kneel at their blackmail. The price at the time was almost too big to bare, but both the 11 dead Israelis and the surviving few million had known exactly why it was paid. The Israeli delegation next Olympics would NOT be kidnapped because doing so accomplished nothing. Hindsight and revisionism can speak now about how the operation put the “palestinians on the map” or try to extrapolate some success from it, but at the time it was considered a dreadful failure. 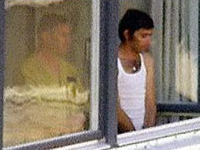 Israeli Olympic team members Kehat Shorr and Andre Spitzer while held hostage by Arab terrorists. The terrorists of the 70s and 80s were not the Islamic radicals of today. They were not particularly fond of being martyrs, and used terror as a tactic, because it worked. They were Marxists, revolutionaries (the Black September terrorists at Munich even included among their demands the freeing of their fellow leftist German founders of the Red Army Faction, Andreas Baader and Ulrike Meinhof), and definitely wanted to survive their missions. Hijacking after hijacking, the Arab terrorists danced away to freedom as they dealt with the weak post-war European governments and incompetent civil police forces. Though we are all too accustomed to it today, the first Muslim suicide bomber was still decades away in 1972. Arabs seem to enjoy guerrilla warfare, terrorism, insurgencies, coups, pillaging, sectarian violence and other low intensity warfare (since the times of Alexander, eastern armies of hundreds of thousands have crumbled when confronting the cohesive European Phalanx or Legion), but the Islamic fundamentalist dreams of being welcomed by 72 virgins in heaven while the Marxist terrorist wanted to make it home alive at night to parties with pot and alcohol where he brags about his endeavors to scores of real-life women, though apparently he must settle for less than virgins. The Munich kidnappers demanded a few hundred “palestinians” freed from Israeli jails. Their key demand was safe passage for them and their hostages to an Arab country (negotiations agreed on Egypt). Once their mission turned for the worse after the German rescue attempt, one of the terrorists managed to escape the gunfight and was eventually tracked down by dogs; another feigned dead among the corpses. These terrorists very much wanted to survive. This is why three of them did, because they surrendered. The Arabs thought Israel would easily break when they held such a valuable asset, the lives of their entire Olympic delegation. They would celebrate with their freed fellow terrorists after safe passage was granted. And subsequently, no Olympic team, no Israeli and no Jew would have been safe again anywhere. All the kidnappers asked for was a couple of hundred prisoners released…This to save an entire Olympic delegation. Some of Israel’s best youth. The answer was a clear and simple “No”. There wasn’t even really a “No” – Israel would not even speak to terrorists then. Today, Israel recently released over one thousand terrorists from its jails to exchange for one kidnapped soldier (the Lighthouse Keepers take on that here). Just a few years before that, Israel traded another 1000 terrorists for the bodies of 3 IDF soldiers held by Hezbollah… yes, lifeless bodies! The entire Sinai was evacuated to give to an Egypt who today threatens war and cancelling of the peace treaty. Israel abandoned Lebanon’s allied Christians to their fate while withdrawing from Lebanon in 1999 (under Ehud Barak) in-order to finally stop conflict with Hezbollah. Instead, that conflict has never been more intense. Israel brought the Iran-backed Hezbollah to her back yard, the entire north of the country subject to their bombardment and terror operations, and the country was ledt bewildered by the poor results of the Second Lebanon War and outraged at the IDF’s casualties. In 2006, Israel forcefully expelled 10,000 Jews from Gush Katif and retreated her border as tribute to her enemies, enlarging Gaza only to stop a few street thugs from lobbing homemade tin-can rockets at her. It is not certain to whose surprise, but the emboldened thugs now shoot far more and better rockets far deeper into Israel daily. Israel understood from the beginning of its founding that if it gave into terrorism, no Jew on earth would ever be safe. Israel was in large part established for the protection of world Jewry, so that they would not again be massacred at the hands of their enemies. If Israel gave in to terrorism, it would turn into exactly the opposite of this stated goal, a government with resources to “give away” to those who can kill, hurt and kidnap Jews. Prior to Israel, a Jewish life was not worth much to a terrorist (especially if he was not a US citizen) on the world stage, but after the establishment of a state, the potential was there for riches! Israel ran the risk of becoming a magnet for terrorism, a Freddie Mae and Freddie Mac who could instead of encouraging toxic mortgages by buying them from banks, could encourage mayhem and terror by rewarding it with prizes. At Munich (at least for a while) the Arabs found out Israel was not a ransom agency. Instead of prizes, the responsible found themselves hunted down by the powerful Mossad. 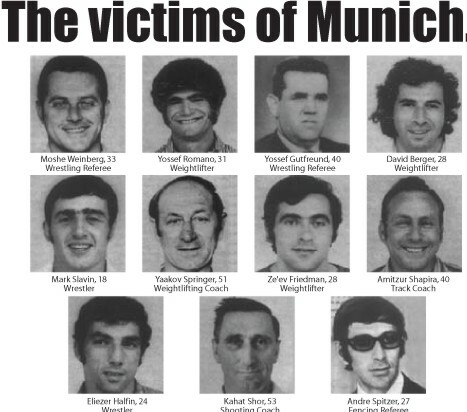 Back in 1972 Munich, the remaining hostages were killed (many by German fire) in a botched and incompetent rescue attempt by German police (the army banned from operating within Germany as part of the post WWII anti-militarism) who ironically left only three terrorists as survivors. These 3 surviving terrorists (out of a group of 8) were arrested by German police. In a twist that would make a Hollywood script seem ridiculous, while awaiting trial, ALL THREE of the surviving kidnappers were released by the Germans in negotiations with fellow terrorists (who hijacked a German plane). They arrived in Libya to heroes’ welcome. Yossef Romano, an immigrant from Libya to Israel, was one of the heroic athletes in the Munich 1972 Olympics who died fighting his captors. Responsibility for the attack was claimed by a then recently formed group called “Black September”. The name commemorating the above mentioned PLO’s own Black September when they were routed and crushed by the Jordanian armies loyal to King Hussein. Conventional wisdom tells of Israel’s decades long international war against Black September and their complete destruction. Attempting this is controversial in its own right, and there is plenty of debate available about the morality of Israel’s actions. Here, there is no need to enter into this debate; anyone who does not see it was not Israel’s right, but duty to hunt these killers down should first read some of my earlier blogs before continuing. The truth however, is unfortunately much less ideal. Firstly, by all accounts, one of the three surviving kidnappers, Jamal Al-Gashey is still comfortably alive and even has given interviews about his September experiences. 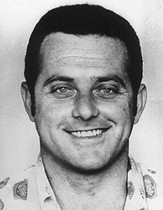 His brother arguably was killed by the Mossad or died of heart failure in the 1970’s. The last gunman’s fate is also unknown, variably either killed by the Mossad, Christian Lebanese or still alive. So there is actually little proof that any of the three were killed by Israel or even killed at all. Undoubtedly, Israel did wage a war across Europe and other parts of the world against terrorists networks, and many other associated figures were indeed hunted down by the Mossad. This campaign is commonly known as Operation Wrath of God. Though it scored some victories in deterring the Arabs from terror in Europe, her only real gem was Operation Spring of Youth, where Israeli Paratroopers, Sayeret Matkal and Shayetet 13 (Israel’s “Navy Seals”) raided deep into Lebanon in a brilliant operation and killed many Fatah and DFLP senior commanders (up to 100 terrorists killed). This operation, which famously included Ehud Barak dressed up as a woman, shocked the Arab world and pressured Arabs states to end at least formal support (including passports) of the PLO’s activities. In relation with the Munich Massacre, Israel’s reach got as high up as Ali Hassan Salameh (or Abu Hassan). There was a previous attempt at his life where Mossad agents erroneously killed an unrelated Moroccan cook/waiter in Lillehammer, Norway. He also had been only meters away during the fighting in Operation Spring of Youth. Finally in January 1979, the Mossad caught up with Salameh in Beirut and blew him along with four of his bodyguards. Salameh or Abu Hassan had been a direct and “hands on” planner of the Munich kidnappings and was something similar to an “operations officer”, but was nowhere near the top of Black September. Who was he? Well there never was a Black September. It was simply a name the PLO (and more accurately, Fatah) used whenever it did more “naughty” actions. In a cunningly dishonorable game which both sides played by, the Fatah leadership realized that the heightened level of terror they wanted to conduct would leave no choice to the Israelis but to target them directly. They also would alienate much of the world as they would have no choice but to condemn such actions. The solution was to have a scapegoat for the really bad operations, this way negotiations or the potential for negotiations could remain open, as could diplomatic channels with various countries, while Israel (and others) can still be hit with increasing terror to pressure it into concessions with the “moderate groups”. This is in fact exactly what happened, and it is a typical modus operandi of terrorist groups. Whereas a state can not really blame different actions it takes on “rogue” agencies and must be responsible for everything it does, terrorist organizations can play at fancy name changing to optimize their effectiveness. Fatah and Hamas play this “Good Cop, Bad Cop” very well in the present day, pressuring Israel to deal (ie give land) with Fatah OR “deal” with Hamas. Hamas itself plays at having a “military wing” and a “political wing” in order to spare the leadership (the political wing) reprisals by Israel. The distinction must be made, that though Hamas and Fatah do realize this and take advantage of it, they ARE actually different (though linked and intertwined) bodies with differing ideology. Black September and Fatah were not different at all. At best, Black September was a unit within Fatah and at worse is was no more than a name used by Fatah when claiming responsibility for particularly bloody terrorist acts. These ridiculous games, like most games, cannot be played alone. The media, Europe and Israel all went along for the ride. The “mainstream” palestinian leadership avoided being targeted by creating fictitious scapegoats, just as much as Israel avoided TARGETING them by “believing” them. Like three little boys in the playground, a bully, his small sidekick and the well behaved victim. The bully throws a pebble at the victim boy’s head and when he turns around, both pretend it was the bully’s smaller sidekick who threw the stone. The well behaved boy gets to shout at and intimidate the smaller boy, while avoiding confrontation with the larger bully, who in turn gets the satisfaction of throwing stones at whoever he wants and also not face the uncertainty of conflict with his victim. The small boy of course gets to feel AS IF he threw the rocks and stays safe beyond a few shouts because he has the implied protection of the bully. All three know very well who is throwing the stones, and all three pretend that they do not. This is the game the West and Israel played with the PLO and Black September, except that in this case, the small boy and the bully are actually one and the same and “trick” the victim by changing hats in plain view. Before unearthing this more recently found evidence, I had made clear this point in a previous article questioning the US and Israel’s support for the terrorist Abu Mazen. This new evidence all but closes the case. Let us begin by Salameh (Abu Hassan), the highest operative in “Black September” killed by the Mossad. Who was he really? Founder and leader of Fatah’s elite Force 17. Force 17 was Arafat’s personal guard, and in theory (in practice just a bunch of big guys) an elite force trained to both protect senior Fatah commanders from assassination, and to assassinate Israeli political leaders. After the establishment of the Palestinian Authority after the signing of Oslo, it continued to engage in terror activity against Israel and has been Arafat’s and Abu Mazen’s strongest asset in retaining power. During Operation Defensive Shield in 2002, Force 17 (weakly) attempted to resist the IDF and remained behind guarding Arafat and terrorists he was harboring in his besieged Muqata compound. Other security forces among the highly sectarian palestinians, fear Force 17 as extremely fiercely loyal Fatahists. How could such a long time and integral part of Fatah, in fact its best unit, be formed and led by a man who allegedly was a senior commander in a rival faction that Fatah had no control over? Highly unlikely. But that same loyal commander, could definitely be ordered to command this “offshoot” and claim to be independent. Abu Iyad is sometimes referred to as the founder of Black September or its leader (though he also escaped any Israeli retaliation). This is due to the fact he migrated to the most vocal militant side of Fatah after the clash with Jordanian forces. It is speculated that this may be due to an attempt by Abu Iyad at compensating for the fact that he was captured by the Jordanians, cooperated with them and then urged the remaining Fatah forces to surrender. Black September was not a terrorist organization, but was rather an auxiliary unit of the resistance movement, at a time when the latter was unable to fully realize its military and political potential. The members of the organization always denied any ties between their organization and Fatah or the PLO. A US State Department document from 1973 (released in 1981) indicates the US’ opinion that Black September and Fatah were one and the same. It even indicates that Abu Iyad as second-in-command of Fatah got an independent budget from the Libyan government to fund BSO (Black September Organization) activities. It clearly also spells out that Arafat gives approval for BSO operations including those in Khartoum that targeted US citizens. The most in depth evidence comes from the less sophisticated Abu Daoud. In a memoir that has been buried by the Western World (though translations from the Arabic did briefly exist in French and English), Abu Daoud took the 1993 Oslo Accords a bit too literally and spilled all the beans. Abu Daoud was the closest anyone in the PLO and Fatah ever came to being a real soldier (along with Abu Ali Iyad not to be confused with the above-mentioned Abu Iyad, and less so Abu Jihad [al-Wazir]). Though ultimately also a terrorist who targeted civilians, Abu Daoud was a tough individual, personally brave unlike most of his colleagues among the Fatah leadership and he preferred hard training and guerrilla style operations as opposed to terror. In effect, along with a very few others he envisioned something along the lines that Hezbollah eventually accomplished: a respectable military force that can at least stand up to if not defeat the IDF. This did not happen of course, since Fatah was made up of cowardly and corrupt men who were happy to send others to die (and to kill innocent civilians) rather than lead troops on the battlefield. Abu Daoud was once shot five times while in Warsaw (also allegedly a target of the “Bin Laden” of the 80’s, Abu Nidal who actually appears to have spent most of his time killing other Arabs rather than attacking any Western target) only to attack and chase his attacker. Though Abu Daoud was something of a character, he was not the most politically savvy member of the Fatah upper echelon. Part of the shameful Oslo Accords Israel signed with Arafat and the PLO, grants the lot of them amnesty from past terrorists acts. Since Arafat and every last one of his Fatah henchmen were guilty of decades of terrorism, a peace treaty with them had to grant them immunity from prosecution. This Israel did, and only requested that they refrain from further terrorist acts. This of course, Arafat and his lot of thugs did not do. More central to the issue at hand, is that this amnesty and treaty were possible only by playing the game described above. Israel could not grant Arafat amnesty for gruesome acts such as the Munich Massacre, the Avivim school massacre (that killed and maimed mostly children), the Ma’alot Massacre (killed 26 students and wounded 70) and other gruesome acts. By pretending to believe that Arafat and Fatah were not responsible for these, Israel could fool its public into supporting the peace treaty. With this in mind, most of the Fatah leadership stayed relatively quiet about their past atrocities. Not Abu Daoud, and taking the amnesty literally he wrote a book telling may interesting details. Along with the rest of the senior Fatah oligarchs he spent the mid to late 90s traveling around Israel with large convoys and VIP passes that allowed the bypassing of IDF checkpoints and searches. Travelling to, from and within Israel, Gaza and the West Bank, the IDF grew to hate the arrogant convoys of VIPs that were known to smuggle cash, drugs and weapons. Abu Daoud traveled to Jordan for his book’s release and found Israel’s response bewildering. In his book, he took personal responsibility for planing and executing the 1972 Munich Massacre. We will get back to the details he revealed. He had his VIP credentials revoked and was told he could not come back to the West Bank. He was offended and cited the Oslo’s amnesty (Note: Any claim of amnesty based on the Oslo agreement is void since the PLO, Fatah, Tanzim, Al-Aqsa, DFLP, PFLP and all other relevant groups [not to mention dissenters like the PFLP-GC, Hamas and Islamic Jihad] have breached every clause in the agreement and continued unrelenting terror). Israel did not hunt him down, did not ask Jordan or any other country for his arrest, did not indict him or try him in absentia. All Israel did was revoke his VIP card and go along with the rest of the world in hushing Daoud and his book. Abu Daoud died of natural causes in Syria in 2010, after having spend his last years giving frequent interviews, living on a Fatah pension, never regretting what he did, and often complaining that he was not allowed to return to the West Bank. What happened to Golda Meir’s promise of hunting them all down? Obviously, Israel was not shocked by the “revelations” in Daoud’s book. Israeli governments had gone along with the game in order to avoid their duty and more recently, in order to give away land and go down in history in famous handshakes along with US presidents. The surviving members of the Israeli Olympic delegation march in honor of their fallen countrymen. As was explained, Arafat and his Fatah used BSO to perpetrate terrorists acts without incurring consequences. But the worse part is that Arafat may have been more fearful of losing international support than of Israel (though the two are linked). In the early 70’s most of the world still held Arafat’s Fatah and PLO to be terrorists groups. By the mid 70’s most countries recognized them as the leader of the palestinian people and starting in late November 1975, the PLO has had increasing membership rights in the UN. Interestingly, it is during the early 1970’s that Black September attacks were on their heyday. By 1975, they completely disappear from recorded history. Not that terror disappears, but rather it changes names back to to the now more secure Fatah. Additionally, Black September’s main use was terrorism abroad, in order to not bring the PLO any backlash. After the mid 70’s, Arafat recognized that there was no more to be gained by terror abroad, since he had the world’s support and that his efforts should now be focused on Israel alone. …at a time when the latter was unable to fully realize its military and political potential. A post Six-Day-War Israel was to be feared, and the world had little patience for Arafat and his band of murderers. As Israel’s position weakened after the Yom Kippur War in 1973, after the Camp David Accords where it agrees to withdraw from all of Sinai, and the Arab world-wide position strengthens by the increasing importance of oil, Arafat no longer had need for masks or nicknames. The world claims to love underdogs, but the truth is that it has no patience or even memory for losers. So it was no surprise to Israel that Arafat and his henchmen were terrorists, they practically invented modern terrorism. The public however, had been fooled by the years into thinking “extremists” were responsible for the worse of the atrocities and that Fatah, under Arafat and his successor Abu Abbas (nome de guerre Abu Mazen) represented a peaceful and “moderate” leadership. Daoud’s book was publishe when Arafat was still firmly in control of the PLO and the new Palestinian Authority. Abu Mazen was a relatively unknown figure both in Israel and around the world. Abu Mazen and the remaining Fatah old guard (mostly now dead from natural causes), active terrorists from before and after the Oslo Accords, spent their days after Oslo in complete comfort and tranquility, with special privileges, lots of stolen money, and meeting with world dignitaries within and without Israel’s borders. Israel demands that the victims of the Munich massacre (and what about the victims of the myriad other massacres at the hands of these putrid corrupt old dogs) be honored??? Yes, a moment of silence at the London games would be very nice indeed… but what about taking a few guys from the 202 Mr. Netanyahu, and driving up road 60 for a few minutes and arresting the remaining scum who killed our athletes?? It may be just me, but I think that would honor them a whole lot more than shaking hands with them next week at a photo-op while screaming that other countries agree to moments of silence.